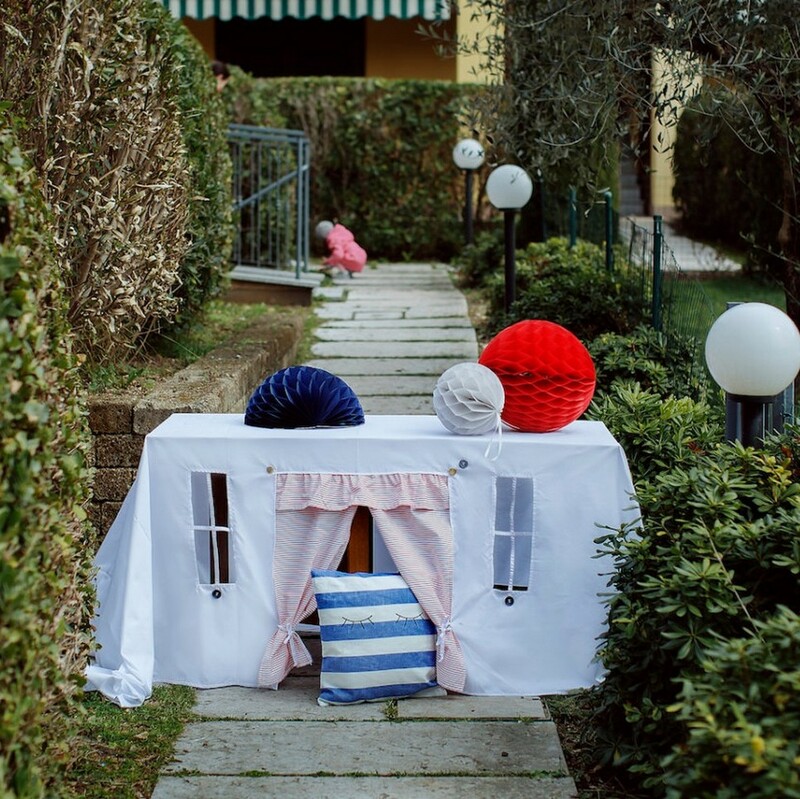 Perfect for any gathering whether it be an early morning breakfast, casual brunch or special occasion, the Beach House Tablecloth Playhouse welcomes the fantasy world of your little ones. 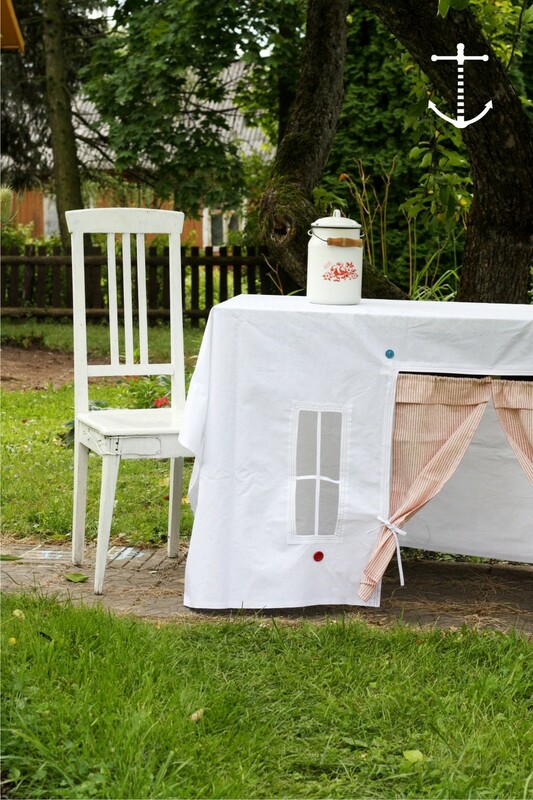 A stunning tablecloth with a classy design and lovely details to entertain or to liven up the everyday meal. Perfect for parties and weddings, it will transform large tables into elegant settings for food, drink, and decorations. It’s a perfect summer accessory, which will grant hours of quiet outdoor dining for the parents. Regardless of what is on the table, the whole world of games and fantasies is served underneath it. 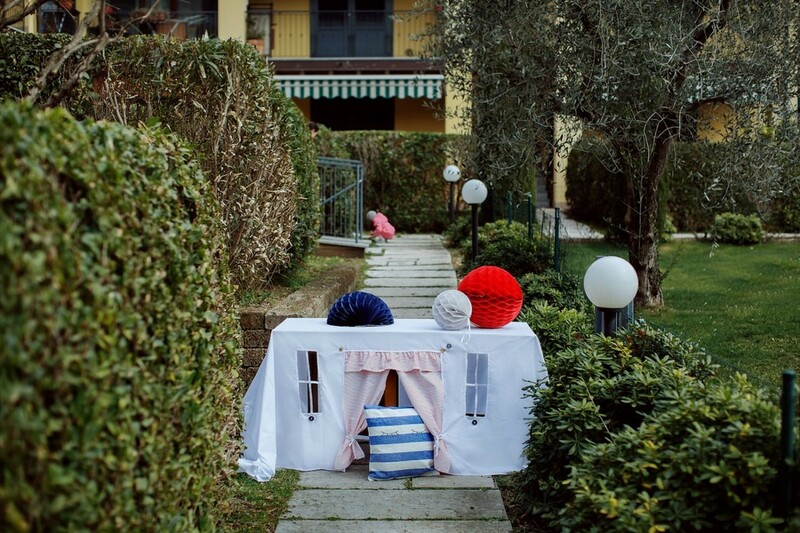 Decorate it lights or simply place a lamp underneath it to turn it into the perfect spot for reading fairy tales. 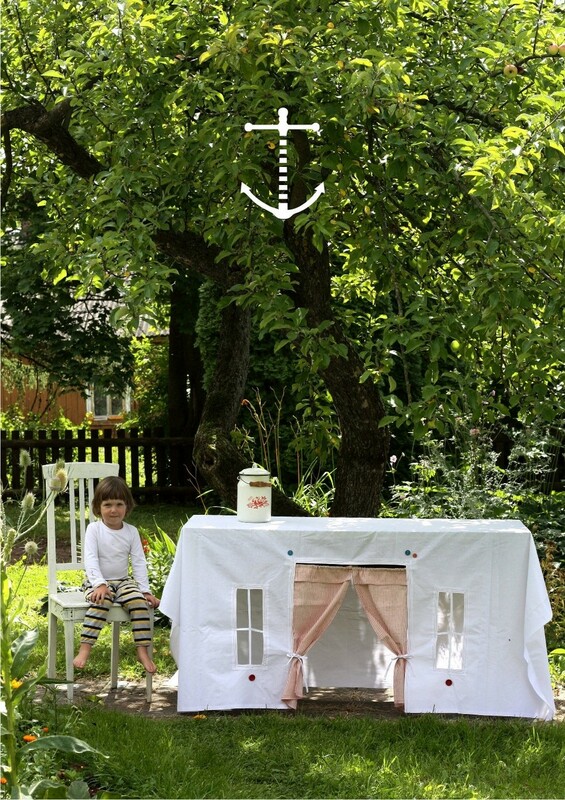 A very nice present for a wedding or a new house, it is made from 100% cotton and has a bright, fresh feel making this table linen perfect for informal occasions. Whether you are eating inside or out, it will create a great atmosphere. It can be used for everyday life or to entertain for special occasions. 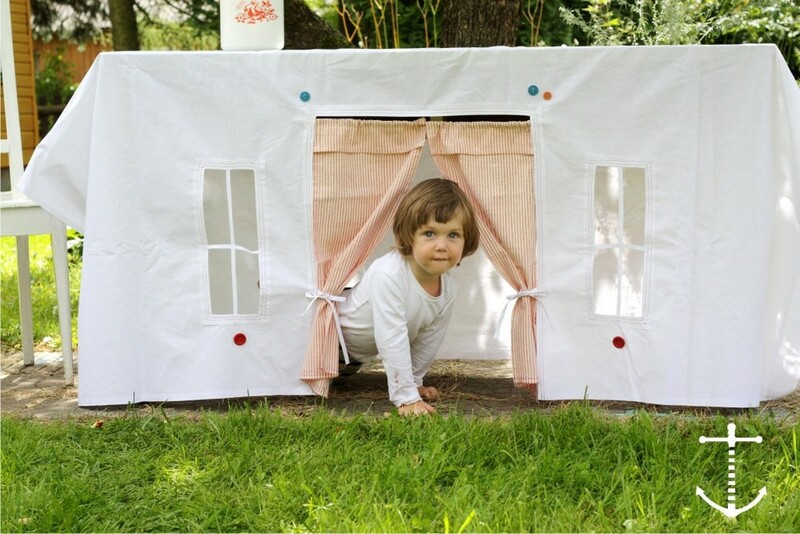 Suitable for indoor and outdoor use, this tablecloth playhouse is the joy of quietness for the parents and the amazing fantasy world spot for the little ones. 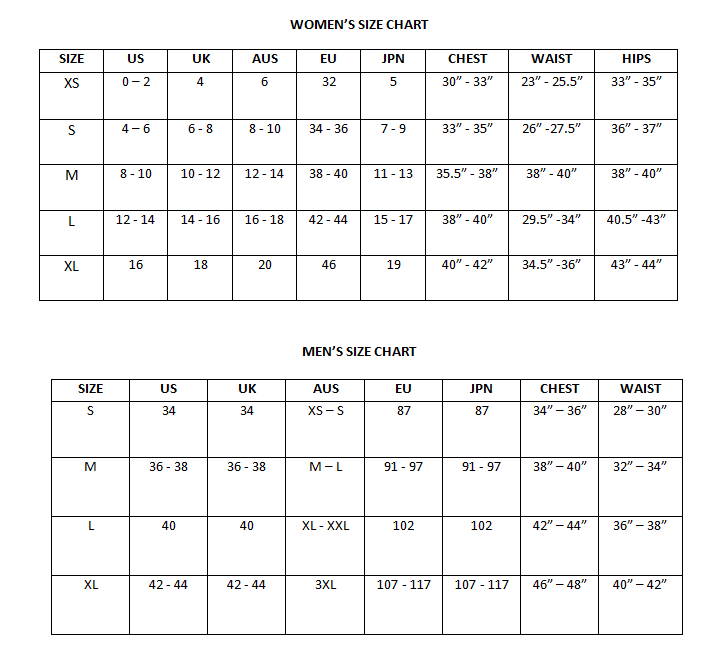 The colors of the item may vary slightly due to different computer monitor settings. Care Instructions: Machine wash in cold water and mild detergent. Air Dry Only.